Small to medium French handwoven basket with short and thick brown leather handles. Ideal as an everyday basket or handheld handbag. 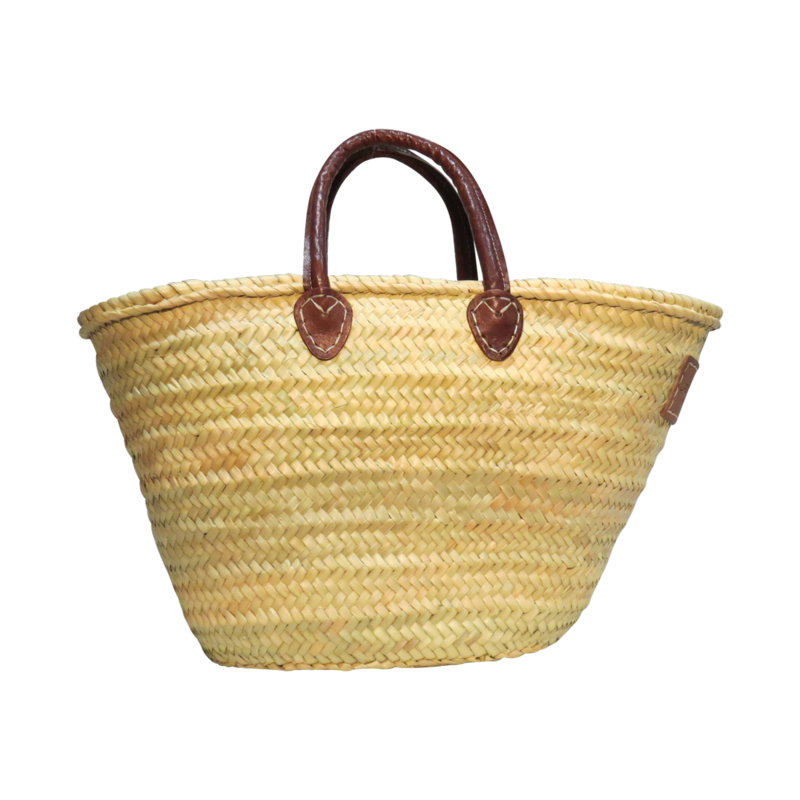 Also perfect as a picnic basket or beach basket and useful as a home storage basket too.